One of the most common criticisms of a boring, unexciting fragrance among people who actually enjoy perfumes in general is that it is "linear", a scent that starts smelling one way and continues smelling that way till you can't smell it any longer. This description approximates to many people's minds a transliteration of the visual "dead line" on a hospital heart monitor; no highs or lows, just a uniform trajectory to nothingness... But is it always such a bad thing? Occasionally you love a specific phase of your perfume (increasingly this is the top layer upon spraying, since contemporary fragrances try to capture the short-term, antagonism-driven attention span of the mall buying consumer). Don't you sometimes wish it would last throughout the entire duration of the scent's lifetime on your skin? Why are linear scents so scorned? Perhaps because historically the first ~and most successful commercially speaking~ linear scents were of American origin (composed by European noses, such as Sophia Grojsman, Josephine Catapano or Ernest Shiftan, in US-labs for US companies catering to an international market). This is a kind of reverse snobbism on the part of perfume aficionados who favor French-ness over apple-pie & Coke homely runs. I hypothesize this is to blame for the en masse disregard of linear scents as a sign of crudeness, non sophistication, of "easy cuts". Classic French perfumes (for instance Bal a Versailles by Jean Desprez) usually follow the classic pyramidal structure of a fragrance which starts one way, progresses another to end on a quite different route than anticipated. But having a dependable scent effect from start to finish is not to be dismissed so lightly; sometimes one needs to rely on a constant, as "what you smell is what you get"; the equivalent of the jeans & T-shirt girl with no makeup on, who men know will look exactly the same the morning after as when you bedded her. This applies just as much as other times we're seduced by the evolutionary arc of a complex perfume (the scents I call "morphers"), one which changes moods and messages as the hours go by; the romantic equivalent of a mr.Grey, if you will. Constant olfactory emission of a specific impression is also an important -and technically necessary- aspect for other scented products besides fine fragrance; imagine if your air freshener, your depilatory or your hair dye had an undulating scent profile that would smell like one thing on minute #1 and another thing on minute #12. With these products stability of olfactory effect is crucial. This is where linear scents come in! The nuts & bolts of linear scents creation generally relies on composing using similar volatility materials: i.e. either all high volatility ones (which results in a very fleeting effect, comparable to old, traditional cologne, that is not usual in modern perfumery) or all low volatility ones (resulting in a very dense, thick effect; this is often the case with resinous and balsamic formulae). The idea of volatility as a compass into composition comes from perfumer Jean Carles who in "A Method of Creation in Perfumery" put volatility of materials as the key quality on how to evaluate an aromatic material. Hence his introduction of the "fragrance pyramid" as a tool into educating the public into how perfume composition works in the classic manner, thus popularly diving the notes (a "note" is the characteristic odor of a single material) into "top notes", "heart notes" and "base notes". 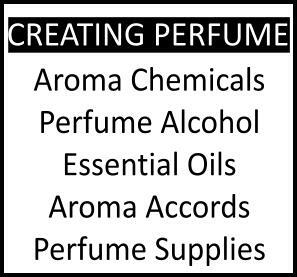 As we have already showcased, the fragrance pyramid, much as it is touted as the be all and end all of perfume construction in pop culture filling beauty mags & generic online sites for the uninitiated, is not the only way of composing a fragrance. Linear scents don't necessarily comprise solely eaux de Cologne or thick, primeval orientals, as mentioned above, depending on volatility of materials alone. For instance APOM Pour Homme by Maison Francis Kurkdjian has a tenacity and scope beyond a classic Eau de Cologne, but the effect is the same from start to finish: a clear orange blossom freshness put on speakers. White Linen by Lauder is another; the projection of soapy, waxy aldehydes is piercingly sweet, retaining the character throughout the duration of the scent's life on skin or cloth, even though the fragrance consists of several elements that are interwoven masterly. 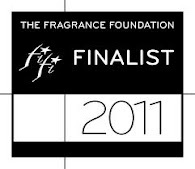 Eternity by Calvin Klein is another one, as is Alien by Thierry Mugler or Montaigne by Caron. Some fragrances created by true perfumery masters such as Jean Claude Ellena are technically linear: Poivre Samarkande, Ambre Narguilé, Vetiver Tonka and Rose Ikebana, all Hermessences exclusive boutique scents and haute in both concept & marketing project linearly. So does the stellar Terre d'Hermes. More esoteric fragrances, boutique-circuit or niche, also exploit this technique: The delicious Tonka Impériale by Guerlain is another linear perfume, as is Philosykos by Diptyque. 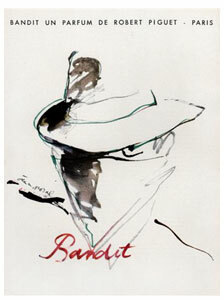 Even older fragrances composed with none of the modern linear aesthetic end up smelling almost the same from start to finish: Bandit by Robert Piguet, thanks to the utilization of "bases" by its perfumer Germaine Cellier, ends up on a rather uniform trajectory from the stupendous beginning to the impressive end. Perhaps an important differentiation would be not to confuse "linear" with "flat"; linear scents can project volumetrically instead of multi-dimensionally, but they possess the technical skill to retain interest by their abstract main accord that elevates them from mere "imitation" of a smell into an arresting sensory assault. By focusing on the evaporation process rather than the odor character, it becomes possible to create a fragrance that can essentially maintain a uniform composition as it evaporates. Where it becomes really interesting is that the evaporative weight losses of these aroma materials are proportional to their vapor pressures (the vapor pressure calculated by Raoult's law which states that the vapor pressure of true solutions is dependent on the proportion of each component in the blend). Therefore it is easier to achieve linearity if the materials used have similar vapor pressure. Of course this means that some odor types are more suitable for this exercise, thus rendering linearity often a compromise on olfactory quality for technical performance. You see, sometimes the complaints of fragonerds are not entirely out of place! But how can the vapor pressure of materials be manipulated into behaving as desired? Simple, though not as easy as one might think: by changing the solvents. Carrageenan and chlorophyllin gel bases were previously used in scented products where linearity was crucial (such as home fragrances), creating a sort of gelatinous non evaporating surface upon application decreasing the fragrance release with time, though the addition of nonionic surfactants was necessary for the aromatics to become soluble in the gelatinous base itself. This is also one of the reasons why all natural perfumes are so rarely constructed linearly: the restrictions in use of materials and solvents makes for a tougher process into linearity; the raw materials themselves are full of nuance and they are often crystalline or viscous presenting solubility issues. A variation on the linear scent is the "prism"/prismatic fragrance, whereupon you smell a humongous consistent effect all right, but when you squint this or that way, throughout the long duration, you seem to pick up some random note coming to the fore or regressing, then repeating again and again; a sort of "lather, rinse, repeat" to infinity. A good example of this sort of meticulously engineered effect is Chanel's Allure Eau de Toilette (and not the thicker and less nuanced Eau de Parfum) where the evolution of fragrance notes defies any classical pyramidal structure scheme. There are six facets shimmering and overlapping with no one note predominating. In short, the engineering of a perfume is sometimes much more technically and intelligently labored than appears at first sniff. Linear scents are never "simple", so to speak. Preferring a perfume that takes you into a wave of highs peaks & low valleys of differing "notes" is not in itself the mark of connoisseurship that it is touted to be. Let's give the best of the linear scents out there their due and let's respect their stubbornness of character for what it is, rather than merely lack of merit or of complexity. 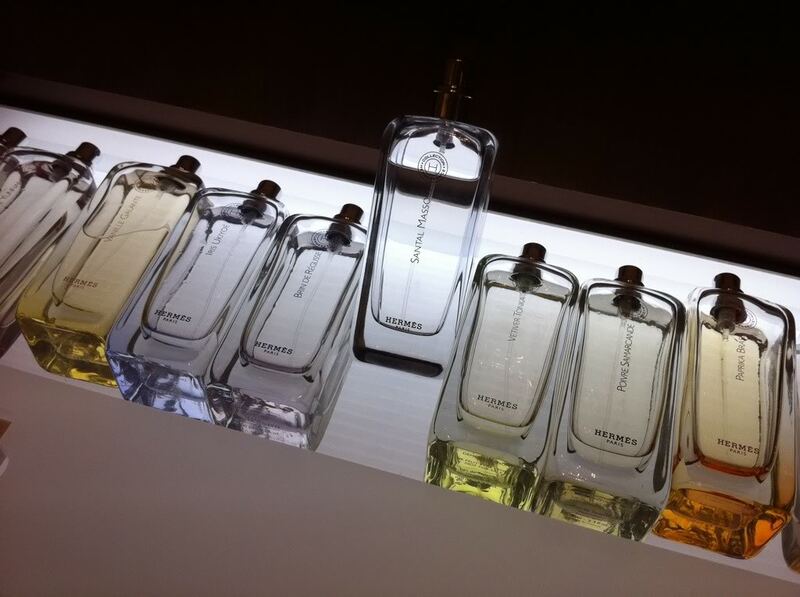 Which are your own favorite linear scents? You know sometimes linear might be preferred especially if the bottom is so mundane. I have tried quite a fragrances where I wish the middle had just remained. It occurs to me that a great example of people really enjoying linear scents is musks. My current favourite is a home blend of velvione and animalis, sometimes with a spray of Bulgari Black on top. Lasts for days! I forgot to mention muscone in the home blend-psst! don't tell the IFFRA ! thank you for helping me articulate this concept around some *linear* perfumes, very interesting. that's good thinking on your part. Musks are a good example since many are low volatility, big molecule compositions with little else on top (though that's not accurate on everything termed musk). I find mundane drydowns the pits. Disappointing, a let down. sounds good! ~Must be very naughty and rich then! It's a misunderstood term (mostly because it's being confused with an aesthetic effect) and therefore an easy "criticism" brandished about indiscriminately. It needed some closer examination, I thought. I am a big fan of linear scents. I find it disappointing to fall in love with the top notes, kinda like the heart and then am totally disappointed by the base notes (example: Un Jardin Sur le Nil, headache-inducing base, sadly way too sickly sweet on me). So I don´t mind if a scent doesn´t change much or at all during wear time. Gucci Rush 2, AA Mandarine Basilic, TBS White Musk, NR for her. I especially love Mandarine Basilic in the summer. It doesn´t change at all when you spray it on your clothes and stays yummy mandarine juiciness the whole time. I don't think of White Linen as linear at all! To my nose it's intensely aldehydic-clean at first, with a rosy glow, then darkens, and the drydown is quite animalic on my skin. Black and Philosykos are both pretty linear and I like them very much, but prefer them on my homme. Byredo Pulp is also pretty linear -- but I love wearing that one. there's something to be said about the hidden privileges of a linear scent: it satisfies a certain need. 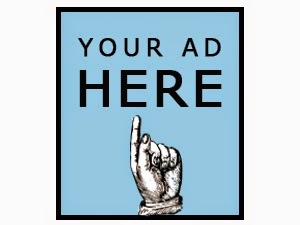 Your other choices are mighty interesting: agree on linearity and wonder why you don't wear those two yourself more. I think they're great when sprayed on fabric (esp.Philosykos is very "green" on fabric which takes away some of the coconut that some people complain about; don't know if you're among them though, so apologize in advance if it's presumptuous of me). Perhaps it is my newer vintage of White Linen -- but there's a definite dirty character that surfaces after a couple/three hours. It might be the honey note, though it *supposedly* also includes civet. Initially, though, yes, it's super soapy clean. It's actually my favorite aldehydic fragrance. Would the orginal Rush be considered a linear scent? If so I do like that one very much. Also, some of the Jo Malones: particularly Mandarine Lime Basil. And two oldies I wore in my youth:Jovan Musk and Body Shop Wood Musk oil (sadly discontinued). Funny but I would not have thought of Allure as linear because it was always so rich on me-but after reading your post I can see how it fits the definition- had a full bottle of that one as well in the late 90s. Second, it would greatly surprise me to see a new batch of ANY perfume featuring dirtier notes than before. If so, that is a most interesting anomaly and I should probably pop into the store and see right away. You have instigated a need now! Yes, WL is a fabulous aldehydic, even if I personally can't wear it myself (it's like it spearing me through the brain, I get it so intensely, though I enjoy the sillage on others). BTW, the Pure White Linen (just so) is also a linear scent and a softer aldehydic soapy. A rare well made flanker. Rush is also quite linear, yes! I don't know if it's intentional in this case as so much goes onto the composition, but good observation! I'd peg the Jo Malones under the cologne principle (mostly top notes with very vague, indeterminate anchor just to anchor) and the musks in the giga-size molecules alone that project at low hum for hours. Yes, both of them linear by default. Please note I am referring to the Allure EDT, and NOT the EDP (which is just a heavy thing with absolutely no interest whatsoever, yet it is the one mentioned online all the time as "Allure" simply; I guess it's because it's the default concentration in the USA). The EDT is complex, but light, and with some "air" between the molecules, and YET it projects at almost the same wavelength with minimal tremble along the way. It's technically admirable, even if one doesn't particularly love the aesthetic result (I can accept that). On the contrary, I find that simple (NOT simplistic, there's a difference!) is the hardest thing to achieve and is actually the apex, the essence distilled (no pun intended) to the search for pure art, for exalting aesthetics. To me a Cycladic idol is far greater in achieving this pure core of meaning than a baroque painting with hundreds of subplot, much like a Gabrielle Chanel dress is much more meaningful and aesthetically pleasing than a crinoline. I realize that it demands a certain mind-frame to really understand that and western education often doesn't help in that direction (we are taught more is more). To bring it to perfume aesthetics it's what Roudnitska and Ellena had/have been trying to do all their lives: pare down, deduct, go straight to the core. I admire that! It's more difficult to achieve than garlanding with a hundred accessories. It's also pure luxury, when you have deducted all the unnecessary, all the burden of fake and have embraced truth. It's not easy, but it's a path worth taking. Oh, how I love your blog! Today at lunch I even mentioned you to my mother because we had some asparagus, which made me remember that post about asparagus and pee (I've always wondered why my pee smells funny when I eat asparagus, and when I mentioned it a couple of times before people looked at me as if I were crazy). Anyway, I used to love Kai in my first perfume craze. Now, after a 10 year "break" I felt in love with the Chanels, and I consider Sycomore almost linear, and it's one of my favorites. I am sure this is old comments, but I HAD to add that I think Allure edT is one of the most amazing scents ever created! If heaven had a smell and so on. masterpiece and, like you´re mentioning Elena, SO much better and more interesting than the edP. (The Sensuelle I kind of don´t even like). Allure is not so much linear as BOTH linear and non-linear and I just adore that! The intoxicating top notes appear and re-appear. I just got myself a brand new 100ml bottle- yuuum!